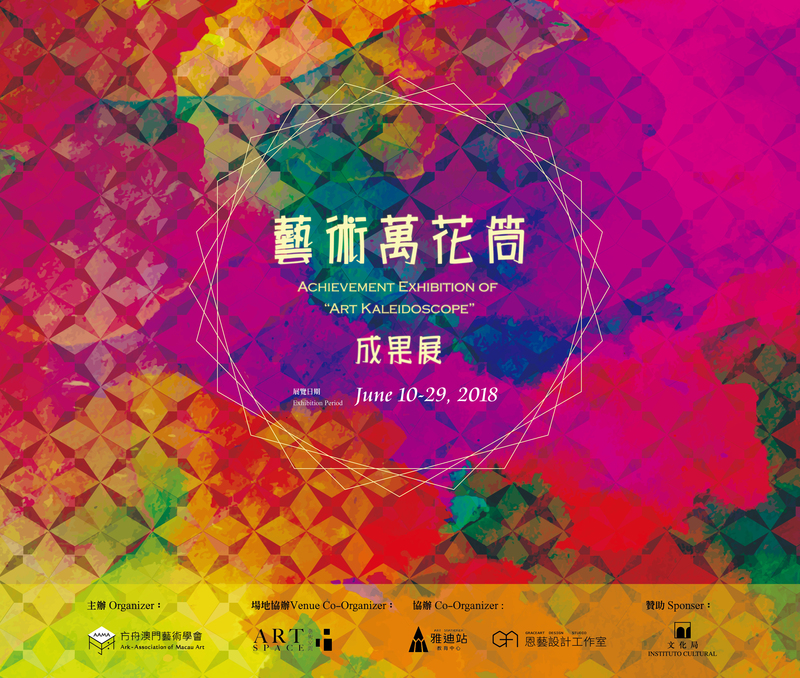 Taipa Village Cultural Association collaborated with AAMA (ARK – ASSOCIATION OF MACAU ART) to present the “2018 Art Kaleidoscope Exhibition” which showcases the paintings and crafts created by the public who participated in three different workshops. Organised by AAMA and co-organised by Art Stationer Education Center and Grace Art Design Studio, these three workshops include painting, printmaking and English calligraphy under the theme of “Art Kaleidoscope.” The objective is encourage the public to get into the world of paintings and merge arts into their life. This also aims to promote the art and creative diversity of the public by utilizing different materials and techniques to interpret their own unique Kaleidoscope, representing a diverse range of scenes. Art Kaleidoscope － as the name suggests, it is a campaign consisted of a series of art activities that advocates art pieces created in different means and different media with the goal of cultural exchange in paintings and crafts. It supports painting works created with an innovative concept but at the same time do not give up the traditional drawing techniques. The campaign encourages the public to get into the world of paintings and merge arts into their life. Art Kaleidoscope will use paintings as the main axis, with which to integrate with different elements, to come up a series of innovative art activities. Through promoting new form in art creation, the campaign aims to cultivate the public’s interest and appreciation in arts. It aims to abolish the concept that art can only be appreciated with a distance. It aims to bring arts into life and community. It provides an art space that allows the public to approach arts in a relaxed and carefree mood. The ultimate goal of the campaign is to integrate arts into daily life and stimulate the artistic atmosphere in the community. This campaign, consisting of 3 workshops in different art forms, aims to bring out views exchange in arts and inspire the attendees to create work of their own idea and style. Selected finished works will be displayed in a public exhibition. This is to convey a clear message – artwork creation is not limited to artists. If we are willing to try, everyone can be an artist.